The Little Rock Police K-9 Association is a 501(c)(3) Non-Profit* organization that was formed to assist in the care of retired police service dogs, provide additional training and equipment for police service dogs and their handlers, and furnish death benefits for the police canines. 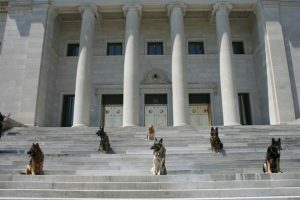 The Little Rock Police K-9 Association also strives to educate and promote the use of police service dogs in the community by performing canine demonstrations for schools, civic and church groups as well as appearing at special events. 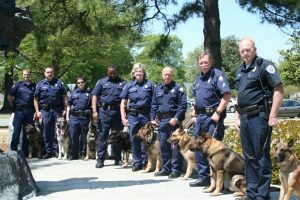 The members of the Little Rock Police K-9 Association recognize that maintaining a Police K-9 Unit is an expensive endeavor. Unfortunately, due to restrictive budgets, the Cities involved are not financially able to cover many of these costs. It is our goal to honor the life-long service that these dogs give, with a merely a pat on the head and a scratch behind the ear as their only rewards, by raising funds to support them in retirement as well as at the time of their death. 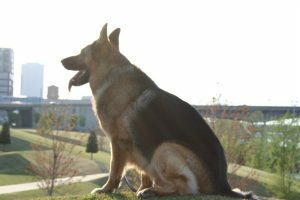 While not officially associated with the Little Rock Police Department or the City of Little Rock, the Little Rock Police K-9 Association strives to reflect a positive image of both. To get the latest news from us please fill out the form below. We promise worthy news with no spam.